This literally takes 30 seconds to whip up and requires all of 3 ingredients. Fruit, Honey, yoghurt. Done. Whiz in a food processor and voila! 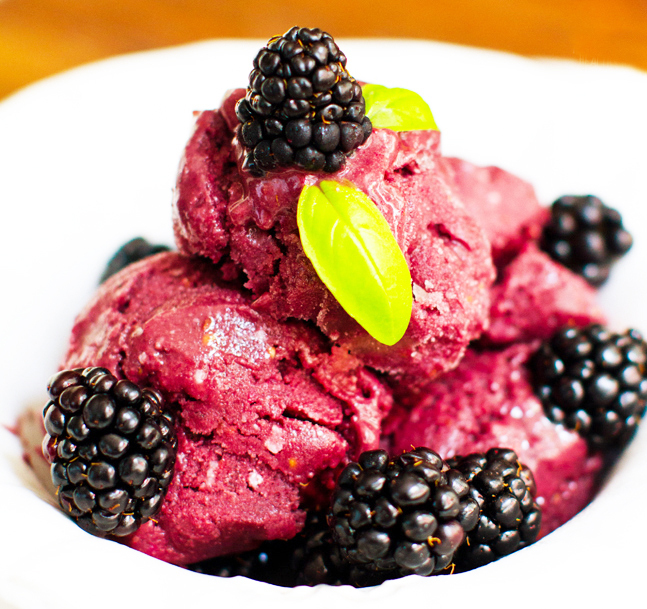 Berry sorbet. Frozen banana and mango also work a treat. Depending on how sweet you like it and how healthy you’re feeling on the day you can also remove the honey or agave altogether, tastes just as good in my opinion. You can also add mint or lemon for some extra zing.